Anheuser-Busch InBev's previous Super Bowl ad campaigns have tried to make audiences bond with lovable animals like puppies and Clydesdales. But in its first ad for this year's game, released early, the brewer positions itself in a more charitable light. 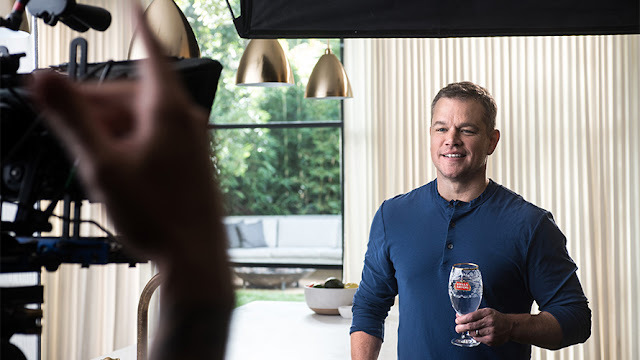 "Taps," the spot for its Stella Artois brand, stars actor Matt Damon talking about the Water.org organization, which invests in clean water initiatives mostly in developing countries. Damon is a co-founder of the international non-profit and has appeared in previous Water.org ad campaigns supported by Stella Artois. This, however, is the first time he's making the appeal in a Super Bowl spot. The spot was created by Mother and promotes a Water.org program in which Stella will donate money to provide 12 months of clean water for one person in the developing world for every purchase of a Stella 12-pack from Jan. 15 through April 15. For each pint of bottle bought in bars, Stella will donate enough to provide one month of clean water. Stella is also putting on sale a specially designed version of its iconic chalice glasses. Each chalice purchase translates into a donation that will provide five years of clean water. The chalice designs reflect countries where water.org provides support, including Mexico, India and Philippines.